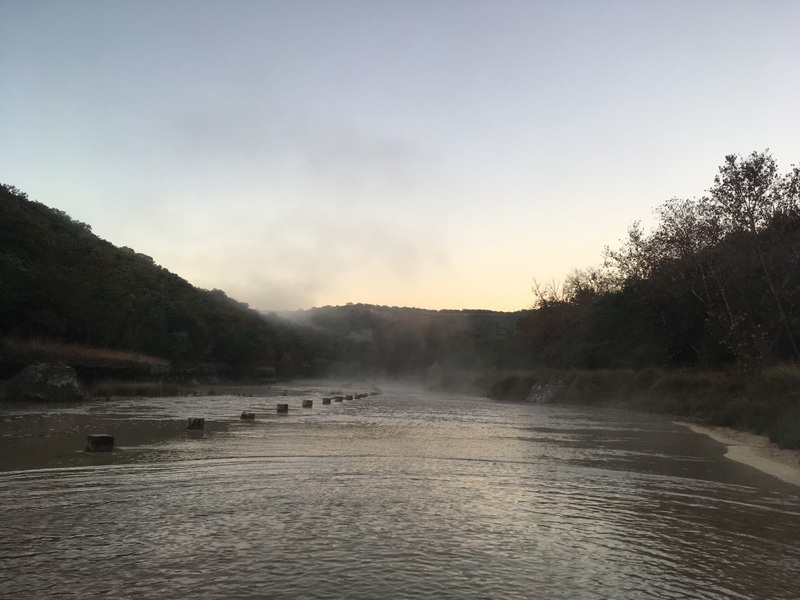 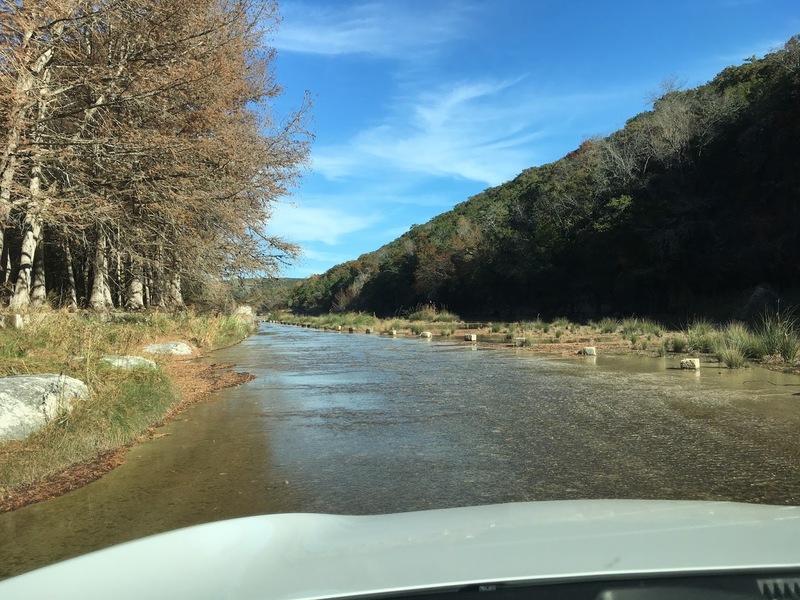 Laity Lodge is situated just below the headwaters of the east fork of the Frio River, and you can only get to the lodge by driving in the river — yes, in it, along a limestone shelf where the river is just a few inches deep. The whole area is astonishingly beautiful — and because the place is closed, after my host Gate Davis showed me around I didn't see another person until I headed back into civilization. 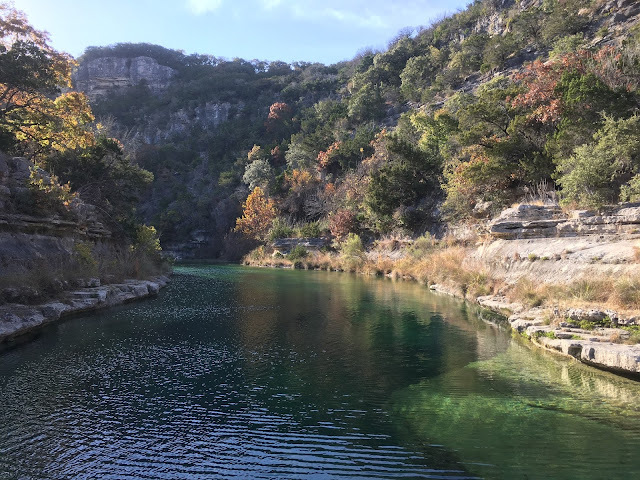 After that first gorgeous day, it rained pretty much constantly during my visit — a rare thing in that part of the world — but though that limited my freedom to explore, and kept me from walking as much as I wanted to, it had the benefit of keeping me in the house writing. And my hosts had provided me with plenty of firewood, so with a fire in the fireplace and the rain pattering on the roof I had a perfect environment for work.